The growth of vegetable and fruit exports slowed down significantly this year but the target of reaching 10 billion USD in revenue in 2025 was still within reach, according to the Ministry of Agriculture and Rural Development (MARD). The MARD’s Agro Processing and Market Development Authority anticipated a growth rate of 10 percent for vegetable and fruit exports for the full year of 2018, much lower than the growth rate of more than 40 percent recorded in 2017. Vietnam exported vegetables and fruits worth US$3.5 billion between January and November, representing a rise of 11.6 percent over the same period last year. China remained the largest importer of Vietnamese vegetables and fruits, accounting for 73.8 percent of Vietnam’s vegetable and fruit export revenue. Vietnam exported vegetables and fruits worth $2.41 billion to China in the period, an increase of 11.3 percent over the same period in 2017. 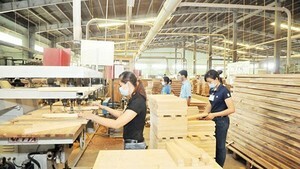 Exports to Australia, the US, Thailand and the Republic of Korea saw strong growth rates of between 28 and 36 percent. The department said the export of vegetables and fruits might struggle in the remaining month of this year due to the impact of weather conditions which might cause drops in the output of several farming products. The department forecast a modest growth of just 10 percent for the export of vegetables and fruits for the full year, compared to the whopping growth rate of 42.4 percent recorded last year. The country imported vegetables and fruits worth $1.57 billion in the 11-month period, up by 11.5 percent, mainly from Thailand (accounting for 41.3 percent of the revenue) and China (24.4 percent). Experts said Vietnam’s participation in a number of free trade agreements (FTAs) was creating opportunities to expand vegetable and fruit exports to new markets and reduce the reliance on a single market. Vietnam had significant potential to boost exports, and the target revenue of $10 billion in 2025 was within reach if the country could make a breakthrough in processing to increase product values. The industry was still weak in processing and preservation, experts said. 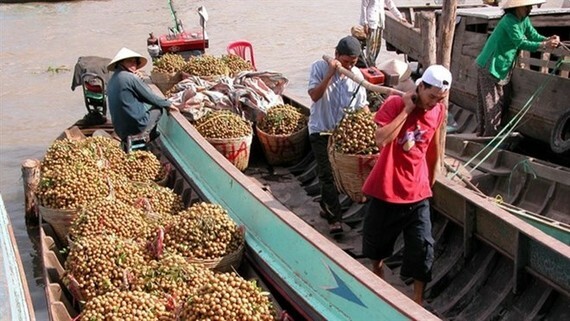 Statistics showed that around 80 percent of Vietnam’s fruits output was sold in the domestic market, mostly in the form of fresh produce. Nguyen Xuan Hong, former director of the Agro Processing and Market Development Authority, said the export of vegetables and fruits faced two technical barriers: food safety and phytosanitation requirements. It was critical to pay special attention to food safety and phytosanitation to boost exports as import markets are now more demanding, Hong said. Strengthening processing would help ensure stable export prices of vegetables and fruits by preventing prices from tumbling when output is abundant. Hong said that organising production was an important phase, adding that one solution would be to enhance cooperation between farmers and firms to apply standards such as VietGAP and GlobalGAP in production and ensure quality control for exports. Hong suggested the Government create preferential policies to create favourable conditions for firms to invest in processing vegetables and fruits. Hong said investing in processing would increase the added value of vegetables and fruits and boost exports. According to Dinh Cao Khue, Chairman of Dong Giao Foodstuff Export Company, the solution lies in developing large-scale plantation areas with huge volumes which must be associated with the building of processing plants. Khue said it was also critical to apply advanced processing technologies to diversify products and enhance quality. Nguyen Van Viet, director of the ministry’s Planning Department, said the ministry would continue to convert low-yield fields into cultivation areas for more efficient crops, including vegetables and fruits, and apply technologies that reduce costs while increasing output, quality, added value and competitiveness.